The Xbox One was off to a bit of a shaky start last year, what with all the restrictions, mandatory Kinect and high price, but we can safely say it has come into its own over the past year and become a solid value for money buy. Microsoft has done away with a lot of their original policies, introduced a non-Kinect bundle and slashed Xbox One prices by 50$ for the holiday season, which, coupled with its already formidable media center capabilities, makes it a great addition to any living room. 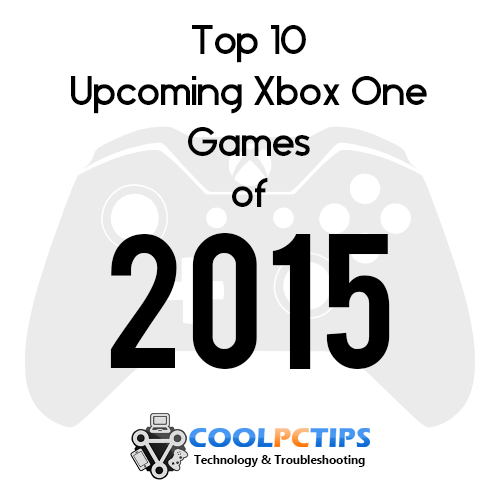 Following our feature on the Top 10 Upcoming PC Games of 2015, here’s our picks for Microsoft’s big box. Sunset Overdrive, Forza Horizon 2 and the Halo: Master Chief Collection have already made the Xbox One more tempting, but if you’re still holding off on your purchase, here’s some awesome games from 2015 that could change your mind! There’s really no other way to put it, Xbox and Halo are almost synonymous. The original killer app for the Xbox still remains so and is perhaps the most anticipated Xbox One game of 2015, if not the most anticipated game of the year overall! Developed by 343 Studios, a new Microsoft studio that also helmed the excellent Halo 4 and Halo: Master Chief Collection, Halo 5: Guardians is the next chapter in the Reclaimer Saga and continues the story from Halo 4. Guardians will introduce a new character called Agent Locke, who’s also the protagonist of the Halo: Nightfall webseries. The multiplayer beta bundled with the Halo: Master Chief Collection looks and plays nothing short of awesome, and if there’s one thing the Halo series has revolutionized, it’s online multiplayer. Halo 5: Guardians will be available November 2015. Halo fans, rejoice! We loved the new Tomb Raider reboot and so did pretty much all of the gaming world. Lara Croft’s gritty origin ticked all the right boxes and reinvigorated a dwindling franchise, and brought the character right back on the map. In a surprise announcement at E3 2014, it was revealed that Rise of the Tomb Raider would be a timed Xbox console exclusive, which was surprising because the franchise originally made its console debut on Sony’s machine. This will be a true next generation Tomb Raider, and will continue from the previous game, chronicling how Lara Croft became the woman she is. Not many details are known about the plot or new features, but considering the previous game, we’re pretty sure it’s going to be fantastic. Quantum Break is the next action-adventure game from Remedy Entertainment, developers of the hugely successful Max Payne franchise. It features time manipulation and a tie in TV series, basically blending live action and gameplay to create a seamless experience. It’s nothing like anything done before, and the gameplay footage is nothing short of amazing. You get to play as three characters who get time manipulation powers after a time travel experiment goes awry. The trick is using the environment and everything in it to your advantage while controlling time. Shawn Ashmore (Iceman in the X-Men series) and Dominic Monaghan (Meriadoc Brandybuck from the Lord of the Rings series) are playing undisclosed roles in the TV series, so we can’t wait to see how it turns out! There’s no release date as of now though. From the Bayonetta series developer Platinum Games, comes Scalebound, an action-RPG featuring monsters, dragons, epic battles and did we mention, DRAGONS! Not much is known about the title as of now, but the reveal trailer has kept us captivated. Game director Hideki Kamiya said that the Dragon will fight alongside the player against monsters in the game, and that the game will be ‘large scale, epic and dynamic’. Despite all the allure around the title, we can’t help but anticipate it, because almost every other effort from the Japanese studio was fantastic. Fingers crossed! Crackdown is an open world third person shooter in which players assume the role of a biologically enhanced Agent tasked with defeating crime lords in the fictional Pacific City. The original two games were well received on the Xbox 360, and a third game was announced for the Xbox One, but simply called ‘Crackdown’, omitting the number 3. The interesting part is that it’s supposed to be a sequel to Crackdown 1, more than Crackdown 2, and will feature the same signature art style, frantic fights, destructible environments and multiplayer. The highlight of the Crackdown, however, would be its cloud powered rendering, which will allow for much larger scale battles and destruction. It’s in the early stages, but is one of the showcases Microsoft promised for in a cloud powered gaming machine. Again, details are scarce, but with the original creator and developer Dave Jones working on it, we can surely be hopeful! Meanwhile, check out the badass reveal trailer for the game. The original Fable, a fantasy roleplaying game by Peter Molyneux was one of the most well received and hyped games for the first Xbox back in 2004. While sequels didn’t fare that well, they were still among the best roleplaying games around. Xbox One will see the release of the fifth installment in the series, called Fable Legends. The gameplay is very interesting, following players taking charge of one of 5 characters, 4 heroes and 1 villain. They can choose to be one of the heroes, each with different skills and abilities to fight against the forces of evil, or be the villain and control the outcome of the heroes quest, controlling things like enemy spawn places as well. It’s a mix of turn based combat and RPG and runs on Unreal Engine 4, so we’re definitely looking forward to it. ScreamRide is a super fun looking rollercoaster simulation that lets you also blow up stuff. You read that right, not only do you get to build different types of rides and solve puzzles, but you also have a mode where you gain points by demolishing rides. There’s also something called the ScreamRider mode, where you get to go on the rides. It’s been called a spiritual successor to RollerCoaster Tycoon, and as big fans of the series, ScreamRide looks like a ton of fun. The best part is that there’s so much more to the game than just simulation and management, for those times you just want to cut loose. If you haven’t tried any indie games yet, this is the perfect time to start, with both Microsoft and Sony backing indie developers to create exclusive games. Below is a new top down adventure game by Capybara Studios, which stars a nameless protagonist stranded on a remote island. Your objective is simple, to survive. The gorgeous art style and ‘brutal but fair’ gameplay, along with randomly generated environments is sure to enthrall and challenge gamers, specially those who enjoyed Dark Souls. Why, you ask? Because death in the game is permanent. If you enjoy a challenge and indie games, Below looks like something right up your alley! Ori and The Blind Forest is a beautiful looking adventure platformer from indie developer Moon Studios. It will make its way to the Xbox 360 and Windows as well, but was showcased extensively in the Xbox One reveal. Ori and The Blind Forest follows Ori, a white guardian spirit who has to rescue his adopted mother in a forest, kidnapped by a malevolent entity called Kuro. Initially, Ori is weak, but gains experience and abilities throughout the duration of the game, and teams up with a blue orb called Sein. Platformers are scarce in number these days, and for fans of the Rayman series, Ori and The Blind Forest should be a must buy. Not convinced yet? Have a look at the amazing trailer. Last but by no means the least is Cuphead. This curiously named indie game is perhaps the most unique on the list, incorporating an art style reminiscent of 1930’s Max Fleischer cartoons. In case you’re not aware, he was the man behind classics such as Popeye and Betty Boop, founding the legendary Fleischer Studios. Cuphead is a surreal and unique run n’ gun game that follows the titular protagonist who has to repay a debt to the devil. It features a branching level structure and boss fights, who can also be defeated by two players in cooperative mode. Developers Studio MDHR say that Cuphead will constantly keep getting new content in the form of levels and bosses. But that’s enough of that, to really get a hang of what we’re talking about, check out the trailer. 10 more games done, this time for the Xbox One. Stay tuned for our feature on the top 10 upcoming PlayStation 4 games of 2015, and until then, don’t forget to tell us what you think of the list!